Fulham's chaotic season took a turn for the bizarre in January when it was reported that two of the club's strikers had come to blows last week during a yoga lesson, of all things. 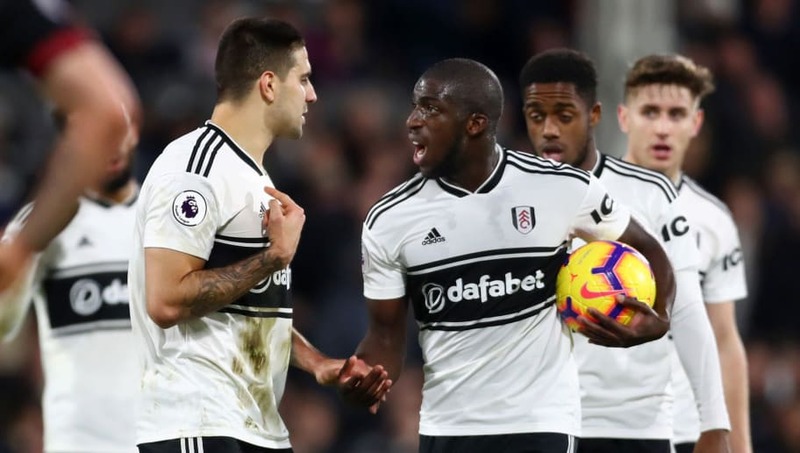 Aleksandar Mitrovic allegedly took exception to Aboubakar Kamara's attitude toward the teacher leading the lesson and teammates had to step in to prevent the two men coming to blows. Amusing though it is to imagine Mitrovic getting annoyed at Kamara's downward facing dog, training ground bust-ups aren't always a laughing matter. Here are seven occasions when things got a little bit too competitive between teammates. There are plenty of ways to announce yourself in your first training session at a new club. Score an overhead kick, make an outstanding save, get into a fight with the world's most expensive player...you know, the usual. 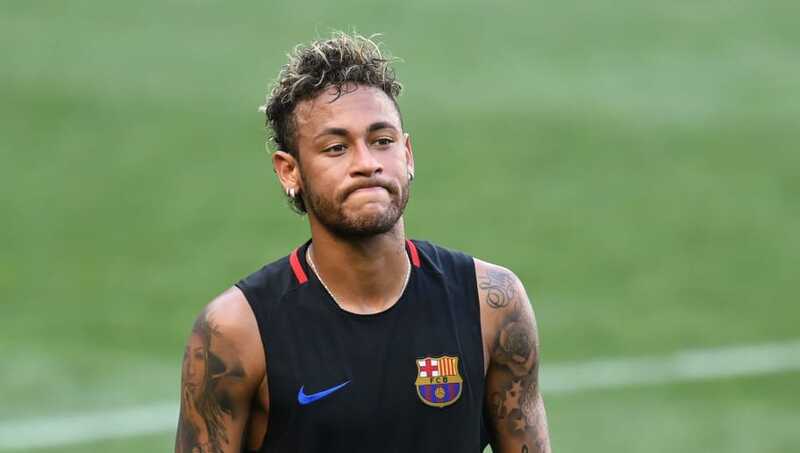 Nelson Semedo chose the latter option in his first training session at Barcelona, grappling with Neymar after the Brazilian striker had nutmegged him. The fight was quickly broken up by teammates Sergio Busquets and Samuel Umtiti, but Neymar was visibly furious. He ripped off his bib, booted the ball away, and stormed from the training ground. Just a few days later he joined Paris Saint-Germain for £200m, and it was all Semedo's fault! Well, kind of. Kids, violence is never the answer. But Andy Carroll's brawl with Newcastle teammate Steven Taylor in March 2010 was more justified than most petty training ground squabbles. When Carroll learned that Taylor had been texting his ex-girlfriend for a long time without telling him, he flew into a rage, punching his compatriot in the jaw and ruling him out for the rest of the season. Many Magpies fans turned on Taylor after learning what he had done, siding with their top goalscorer. The defender's absence didn't affect Newcastle's form and Carroll scored several crucial goals to help seal the Championship title. Sweden's preparations for the 2002 World Cup descended into chaos when teammates Freddie Ljungberg and Olof Mellberg went at each other in training following a particularly industrial challenge from the then Aston Villa defender. Four years later, Ljungberg and Mellberg clashed again - this time in private - as they argued over Sweden's tactics in their opening match of the 2006 World Cup, a disappointing goalless draw against Trinidad and Tobago. Ljungberg claimed that the two had avoided violence this time and their disagreement was described as a 'short, hot dispute' by Swedish officials. The player vs manager confrontation is a rare version of a training ground bust-up, but anything's possible with Mario Balotelli around. The hot-headed Italian had already clashed with Manchester City teammate Micah Richards two years earlier, and Roberto Mancini was next in the firing line. Balotelli, famously reckless in the challenge, went in hard on striker Scott Sinclair, eliciting a furious reaction from Mancini, who tried to drag Balotelli off the field single-handedly. Yeah, good luck with that one Roberto. 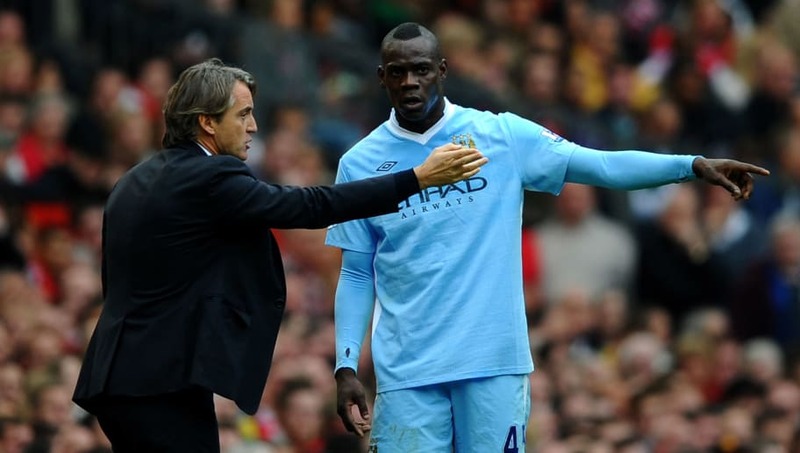 Mancini sold Balotelli to AC Milan later that month, although the two appear to have made amends since. Mancini included Balotelli in his first squad after taking over as Italy manager last May, and Balotelli scored the first goal of the new regime. If there's one fight on this list which might be worth paying to see, it's this one. Zlatan Ibrahimovic has a black-belt in Taekwondo, but his AC Milan teammate Oguchi Onyewu was no shrinking violet himself, possessing a boxer's physique. In his autobiography, Zlatan recalled the fight in lurid (and possibly melodramatic) detail. "It was like life and death," he wrote. "I head-butted him, and we flew at each other. We wanted to tear each other limb from limb. It was brutal. We were rolling around, punching and kneeing each other. All the time, I was thinking: ‘s***, my chest hurts,’ so we had it checked out." It turned out that Ibrahimovic had broken a rib in the fight, so presumably Onyewu was not particularly popular afterwards. The American never played for Milan in Serie A and was sold at the end of the season, possibly for Ibrahimovic's own protection. Eyal Berkovic may have escaped unharmed, but John Hartson's kick at his Israeli teammate in September 1998 is still one of the most wince-worthy incidents on this list. The red mist descended when Berkovic hit out at Hartson during a West Ham training session. Hartson retaliated with a powerful left peg to the underside of Berkovic's jaw. "If my head had been a ball, it would have been in the top corner of the net," said Berkovic. 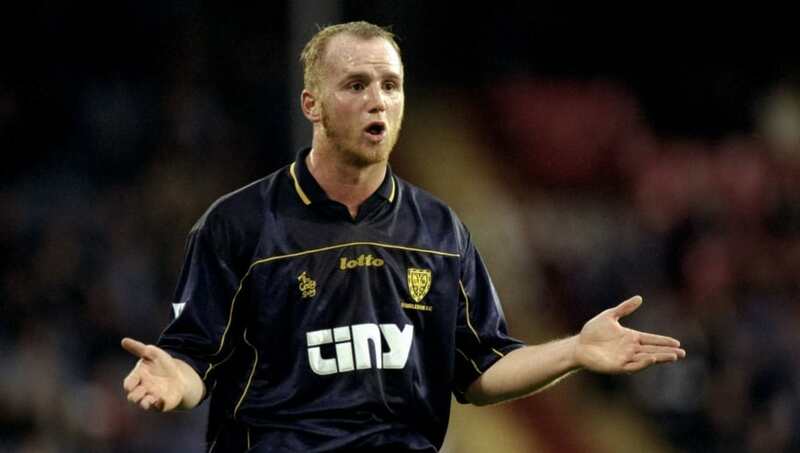 Hartson, who was fined £20,000 for his moment of madness, later admitted that it was the biggest mistake of his career. He was sold to Wimbledon later that season, where he served the three-match ban that the FA eventually gave him. You probably saw this one coming - a pity that the same couldn't be said for Ousmane Dabo. An innocuous push from the Frenchman during a Manchester City training session was met with a flurry of punches from that lovable rogue Joey Barton, leaving Dabo unconscious. Dabo suffered significant bruising under one eye and a damaged retina in the other. He filed an official complaint against Barton which resulted in a series of punishments for the Englishman. In court, he admitted causing actual bodily harm and was slapped with a £3,000 fine and a four-month suspended jail sentence, and the FA also fined Barton £25,000 and gave him a six-match ban.